I'm a singer/songwriter/guitar/ harp player from Virginia, now in Georgia, influenced by Roots rock n roll, Blues, Americana and Country. 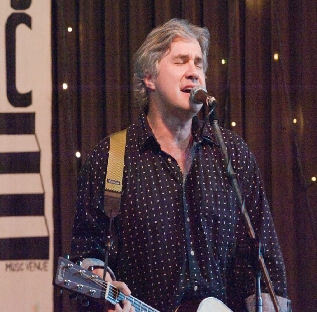 I've played at various clubs since the 80's, including Eddie's Attic in Atlanta at a benefit for the Make A Wish Foundation(a great unplugged show with my kids), and garnered airplay with several songs. I have over 150 copyrighted songs and 7 CDs to date, a new CD Greatful Days just released! - with my other full CDs available on my website www.rokdocmusic.com. . My songs have appeared on TV (Damages, Eastwick, Californication, Once Upon A Time, Gotham and Aquarius), movies (Reservation Road, Ouija 2: The Origin of Evil), with 8 under contract with several agencies. So check out the songs, download what you like- let me know what you think and share the tunes and link with your friends.